It’s time to start our countdowns as the remarkable Radio Disney Music Awards is making its way on over to us very soon, and after this fantastic announcement, we can already tell that it’s about to be an unforgettable award show. Billboard revealed some big news today regarding the 2017 Radio Disney Music Awards and now we have found out who the hosts of this year’s extraordinary award show will be. Yes, you read that right, hosts – meaning there will be more than one! Kelsea Ballerini, Jordan Fisher, Sofia Carson, Jenna Ortega, and Alex Aiono will all be taking the stage and bringing extra excitement as they host this year’s 2017 Radio Disney Music Awards. We’re super thrilled to know that five of our favorite people on this planet will be making the RDMAs extra special with their awesome hosting skills. Alex Aiono, Jordan Fisher, Sofia Carson, Jenna Ortega, and Kelsea Ballerini are all so magnificently talented in their own ways and they all have had and continue to have an endless amount of awe-inspiring successes. They are truly taking over the entertainment world by storm and are fan-favorites all across the globe, so all five of them make perfect hosts for this year’s award show. This is outstanding news and we can’t wait to see Jordan, Jenna, Sofia, Kelsea, and Alex host the RDMAs. 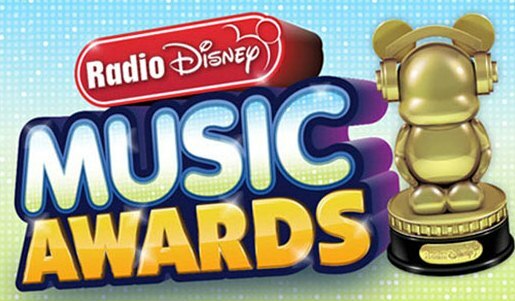 Stay tuned for more information about the Radio Disney Music Awards including who is nominated, who will be performing, and who will be taking home an ARDY. Comment below and tell me or tweet me at @alexisjoyvipacc, who would you like to see nominated at the 2017 Radio Disney Music Awards? Previous Article: Teala Dunn Looked So Gorgeous And Had A Blast At The Sundance Film Festival! Next Article: Rio Mangini Had An Unforgettable Time At The Sundance Film Festival Promoting His New Movie! I think that Sabrina Carpenter is a great singer and performer. Please nominate her for a category in the 2017 RDMA and ask that she performs during the show. Sabrina is very loved by all of her fans. Thank you.